At Let's Be Lucky Racing we like to arrange Stable Visits for our shareholders at least twice per year. 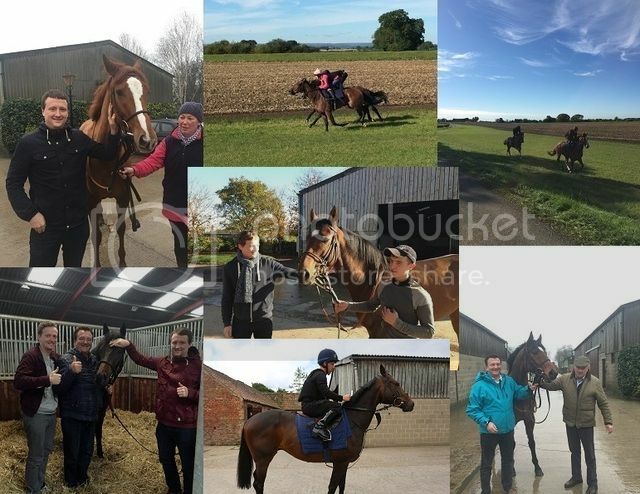 This is a great chance for our clients to come and meet the horses, watch them working on the gallops and also spend some time getting to know each other. We've had a lot of great feedback about the Stable Visits over the past few years. It's a fun day out and an opportunity to spend some time with the horses and talk directly with the trainer. This is just another benefit of buying a share with Let's Be Lucky Racing. We offer a unique and personal horse racing ownership experience! admin@racingview.com for further details on our next purchase.